Is it weird that I find Putin more reliable than the press? At this point, I am nearly convinced that American mainstream journalists actually hate Americans. 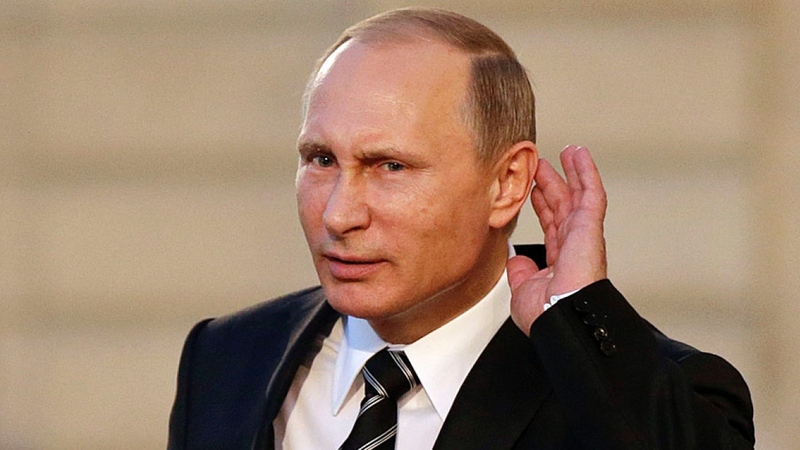 I find Putin to be patriotic even though that sounds quite odd to hear, but when compared to the mainstream media and similar types of cowards, it is one thing I can compliment the guy on, whether or not that is bad news for America. I wouldn’t characterize Vlad as “honest” or “trustworthy” and neither would most Russians, including his fans … but he is a genuine patriot while most Western leaders don’t care about their own. I have to also say though…Putin seemed rather unamused that Me-Again Kelly came across as just another delusional Fake News Media Clown who is out to get the scoop even if it has to be dug up from nothing in order to make a story that will sell. In this interview with Kelly, he mocked conspiracy theories that linked President Trump to his own government. He asked Megyn Kelly himself whether Americans had “all lost your senses over there.” One of my favorite parts…that I wish I could have answered for him. Why yes, we have… the senses of our left side have all been lost. Lost so badly that they are going to create the world they fear the most with their own bare hands. Idiots. Anyhow, I digress..back to this interview. Obviously, there is A LOT about Putin not to trust, lest we forget he was raised as an agent of the KGB. But it doesn’t take a genius to know a circus when he sees it.